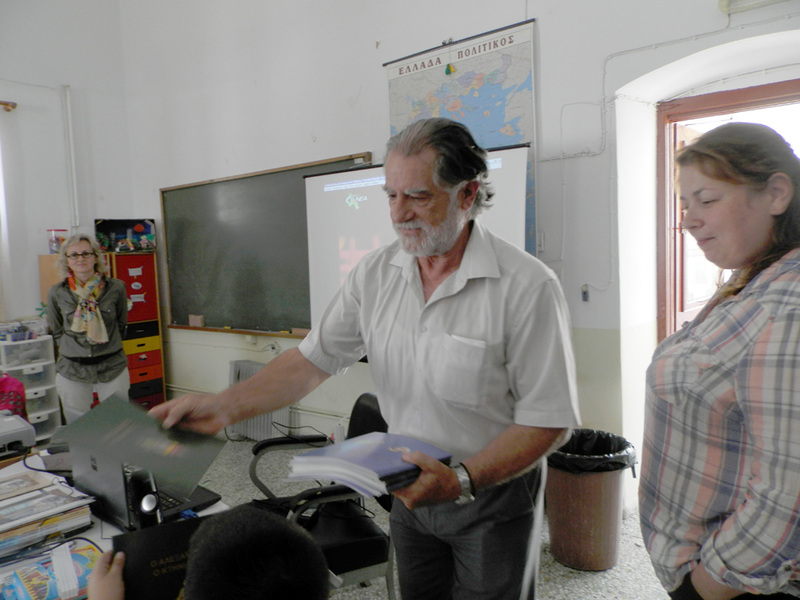 On June 10, 2016, Anastasia Voulgaridi and Efi Pavlidou, two volunteers, visited Aegiali’s primary school to talk about the well-being of animals with the children. This year's presentation focused on the animal farm industry and considering the choices we make about what we eat. As Amorgos is an island in which religion plays a large role, the relationship of Christianity and animals was also discussed. On this visit we were very pleased to award to the winners of last year’s art contest their prizes—brand new bicycles! The winners were students of first and third class of the primary school, and we hope they enjoy riding their new bikes. The two winners receiving their new bikes! On October 4th, World Animal Day, Animal Zone International and Filozwiki Merimna Amorgou visited several primary schools and kindergarten classes in Amorgos. The teachers and students welcomed us with great joy and they happily participated in our program. Children were taught about the rights of animals, heard a fairytale that spoke about love for people and animals, and learned the proper way to approach a dog. Copies of the children's books that AZI published were also distributed. Mr. Roussos is the new Mayor of Amorgos. Like his predecessor, Mr. Fostieris, he is very much in favor of Animal Zone's initiatives. He could not believe his eyes, however, when he realized that we had schlepped 2,000 AZI paper ashtrays all the way to his island. Flabbergasted as he was, he thought it was a great idea and asked for more! In the meantime, Philozoike supporter and chain smoker Sophokles Prekas is setting a public example. And so is Stamatis who owns the Minoa Hotel and distributes our origami ashtrays to all his guests (just in case). 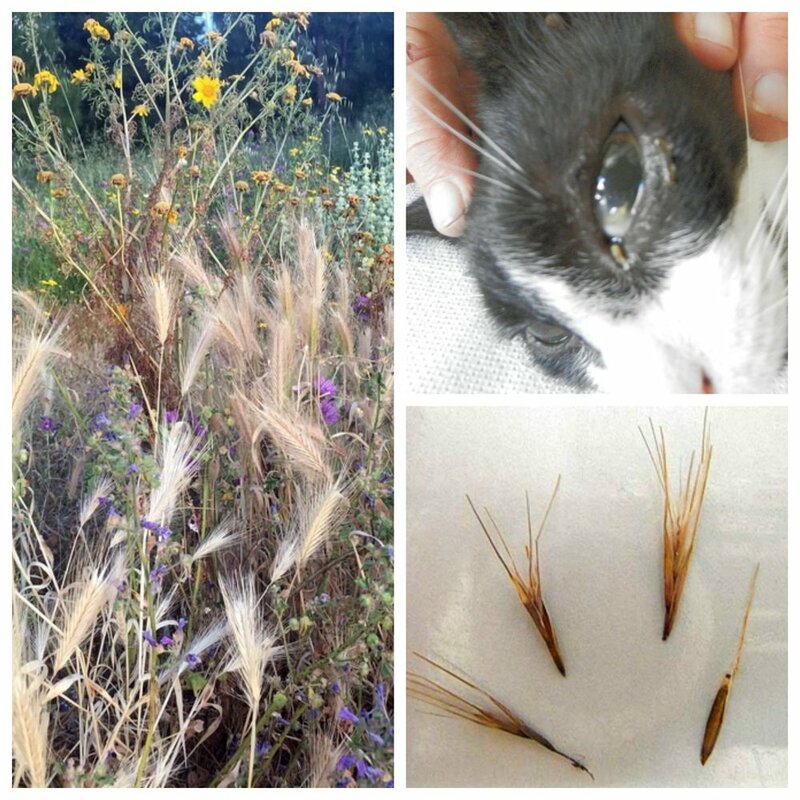 Fall 2010 - Widespread throughout the island, eye infections have caused the loss of one, sometimes both eyes in many cats. The problem could be partially solved by treating new born kittens and vaccinating them as soon as possible. Unfortunately there are far to many cats in the island, often leaving in locations that are hard to be reached. Furthermore, many people don't know how to handle these cases. We are studying ways to prevent the sperading of infectious deaseases and their transmission from parents to offspring. Also, we are educating cat owners about it.